"As a fan of the film, the fact that Ridley and Harrison wanted to extend that story and keep going was exciting enough", Gosling told IGN. "And then the idea of getting to be an actor involved in that in some way is really... I kinda can't believe it". 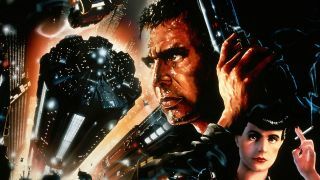 Directed by Denis Villeneuve and starring Ryan Gosling, Robin Wright, Dave Bautista, and Harrison Ford, Blade Runner 2 will be released in cinemas on October 6, 2017.